Have you checked out our greenhouse lately? Many of the houseplants in our greenhouse are 50% off right now. We have quite the eclectic collection of tropical plants that are looking for a home in your warm, cozy house. 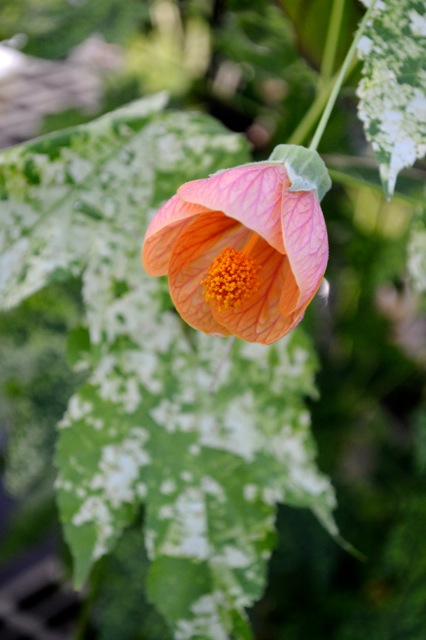 Flowering maple (Abutilon) isn’t a maple at all. It is a very old fashioned “parlor plant”, meaning it would grow in the front parlor that was kept rather cool, usually heated by a fireplace or wood stove. This will bloom all winter long. We have fragrant evening scented jasmines, some funky succulents, and other unusual plant to brighten your spirits over the colder months coming up. I am still in the process of repotting and bringing in my plants. My amaryllis that summered outdoors are now cut back and in the cellar beginning their six week dormant period. 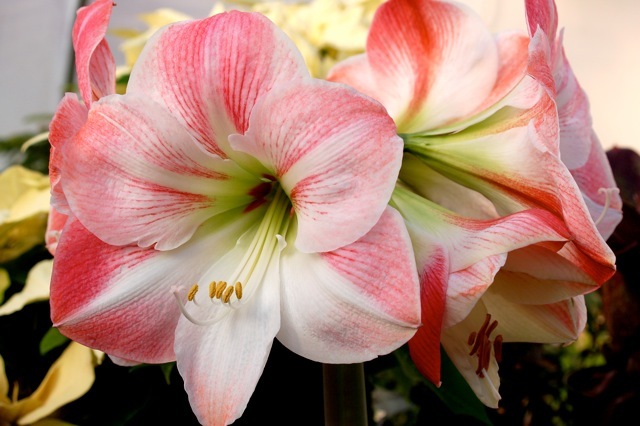 Meanwhile, I can’t resist potting up a new color of amaryllis bulb to assure myself some bright blossoms in December. You will see the bulbs the minute you walk in the shop. They are giant sized this year!